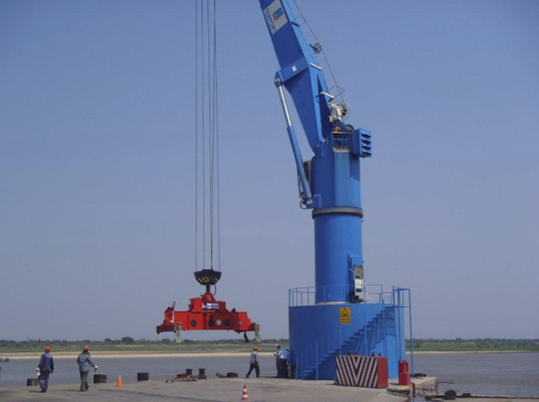 120 meters of coastline with 60 meters of a high capacity quay prepared for simultaneous operation of two cranes and a minimum depth of 10 feet all year round. Ro-Ro Ramp south of the pier for Special Cargo Operations. More than 4,500 TEUS Yard Slots. 2,500 m2 of Closed Warehouses with more than 2,000 Slots for palletized cargo in racks. National’s Service for Plant and Seeds Quality and Health (SENAVE) authorization for chemicals storage and transport according to FAQ Technical Standards. 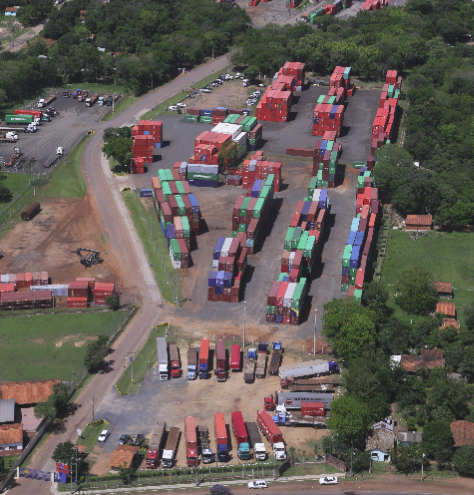 More than 240 Plugs for Refrigerated Containers. Liebherr 100% Electric Fixed Cargo Crane (FCC) with a 45 Tons Lifting Capacity. 3 Mobile Cranes with over 80 Tons Lifting Capacity. Several Reachstackers for empty and full container handling. 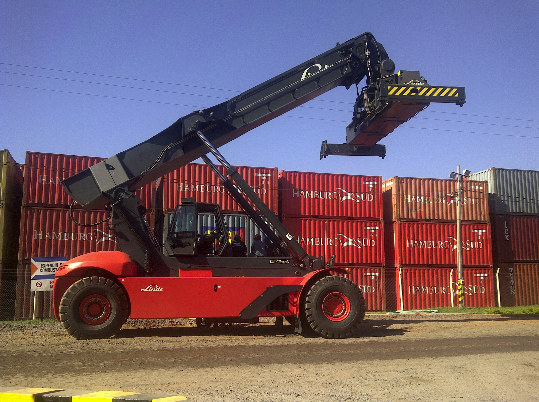 Several Forklifts of 2.5 Tons, 3 Tons and 8 Tons of Lifting Capacity to ensure the handling of all types of cargo. Grain Stuffing Vacuum and Conveyor Belt for Containers.